You know my wants, my troubles, my sufferings. Deign to cast upon me a look of Mercy. 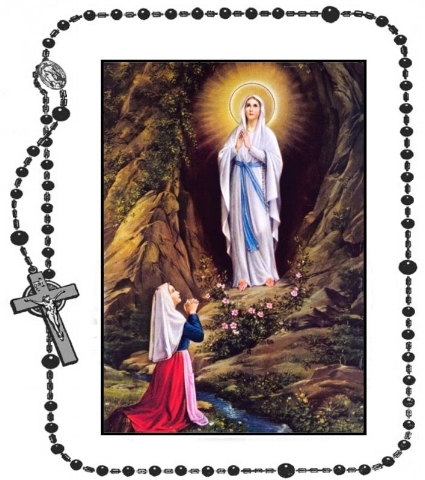 By appearing in the Grotto of Lourdes, You were pleased to make it a privileged sanctuary, whence You dispense your graces; and already many sufferers have obtained the cure of their infirmities, both spiritual and corporal. I come, therefore, with the most unbounded confidence to implore Your maternal intercession. Obtain, O loving Mother, the granting of my requests. Through gratitude for favors, I will endeavor to imitate your virtues that I may one day share Your glory. and strength for service in your Kingdom. Amen.